We are wrapping up our quadrilaterals unit in Geometry. My kids have been really struggling with remembering the properties. It's all memorization, so I've been on their case about making their own flashcards, a study sheet, or something to help them remember all of the properties. To force strongly encourage them, I offered two bonus points for anyone that took a picture of their study guide and emailed it to me. My kids all have laptops and phones, so they can all take pictures easily. I had 6 out of 50 kids email me. Six. Out of fifty. Seriously? 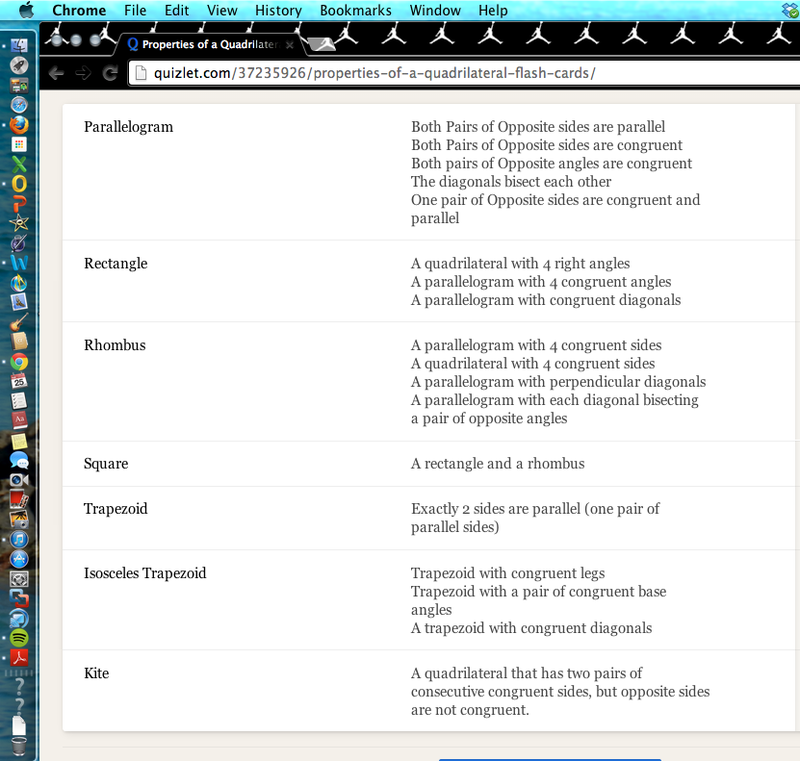 At my school, many kids like using Quizlet to make online flashcards. Some of them load it to their phones so that they can use them anytime. I can't complain about that. 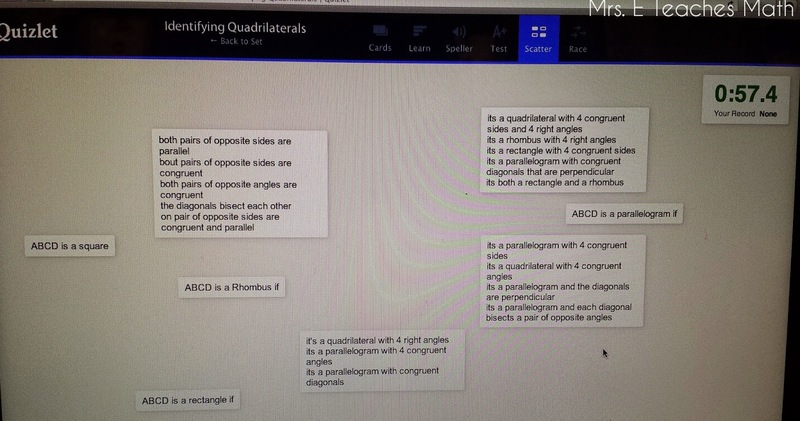 Here are some of the pictures of their Quizlets. One student made a study sheet with different colored pens. I like that he used a different color for each quadrilateral. 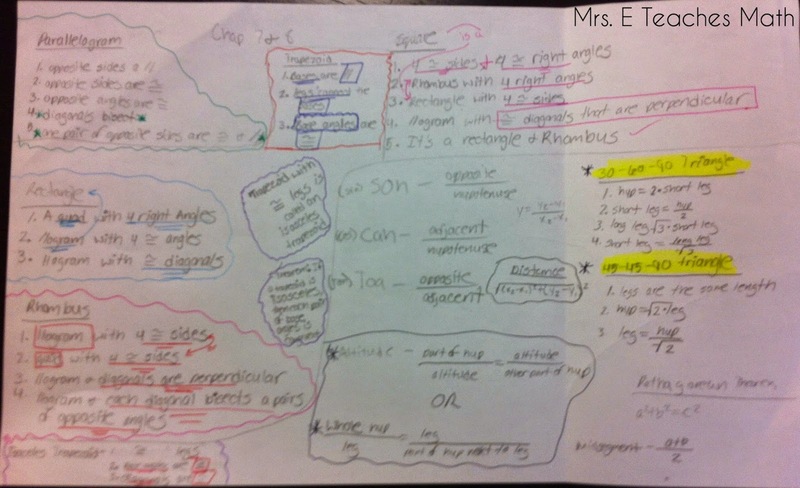 Another student even sent me a photo collage of the study materials that she had made. 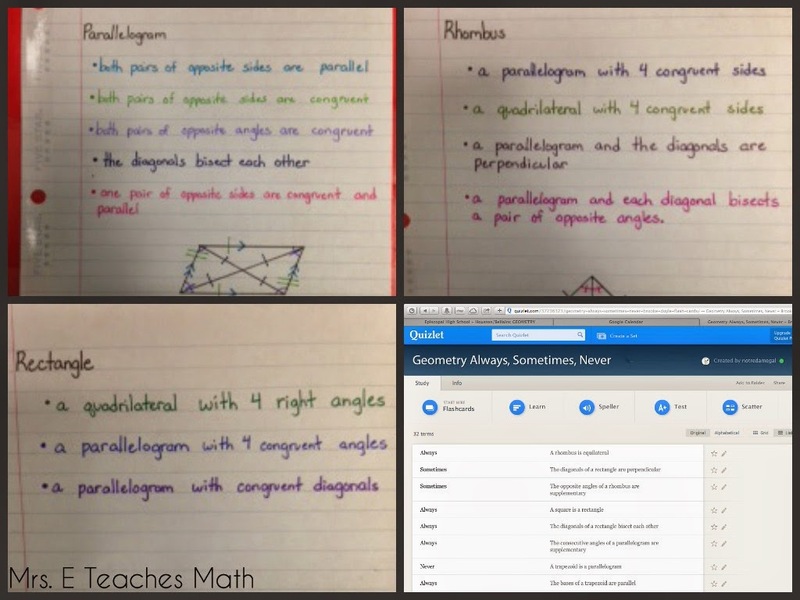 She made study sheets of each quadrilateral and a Quizlet of always, sometimes, never statements. Perfect!! I have given them other ways to remember the different types. 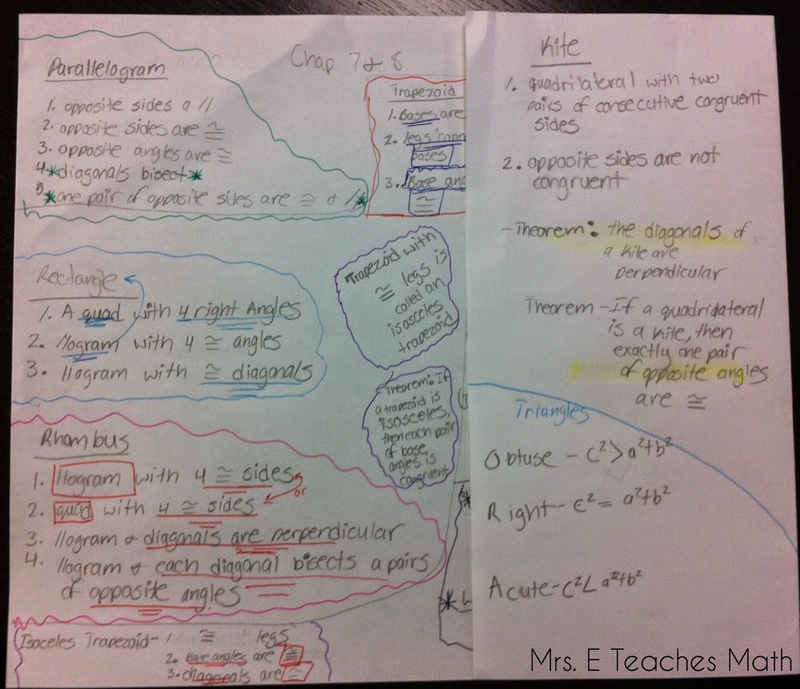 I gave them a list of the properties of the different types of quadrilaterals. I also gave them a "family tree" of the different quadrilaterals. 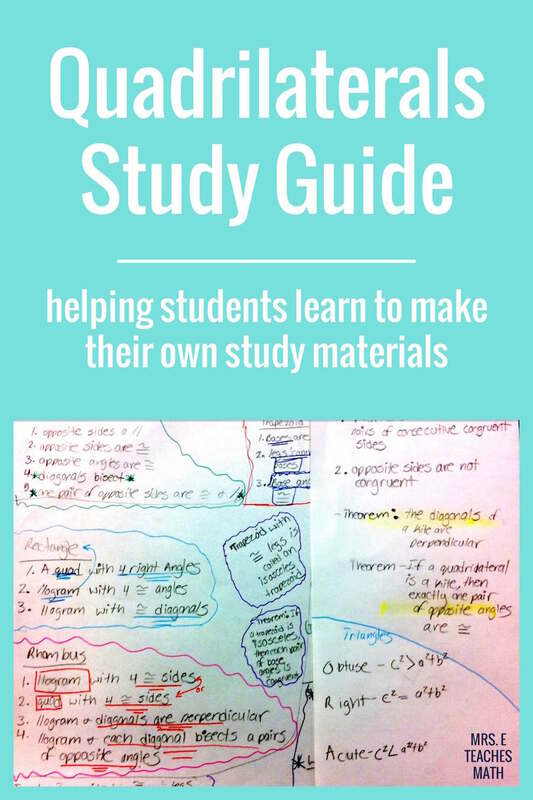 Even though I've given them these materials I've been stressing that they need to make their own because the act of making them helps them memorize. I hope that missing out on an extra credit opportunity motivates some of them to get moving. Our test is on Thursday! **I don't know where I got the family tree. I've had it for a long time and I think it was given to me by my mentor teacher when I first started teaching. If you know who I can credit for this resource, let me know!